The upkeep of medical charts, records, and billing information is an important aspect of the delivery of health services, and this upkeep is the responsibility of people in medical billing and coding jobs. Medical billing and coding jobs such as the position of medical coding specialist involve keeping the health care industry running smoothly by ensuring that patient histories are correctly updated, enabling physicians and nurses to more accurately diagnose and treat future conditions. 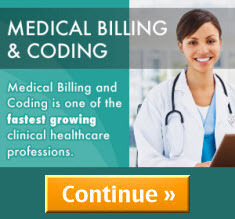 Other medical billing and coding jobs, such as medical billing clerks, facilitate the payment process by issuing invoices to patients, recording payments, and handling insurance paperwork. A high school or equivalent diploma may be sufficient for many entry-level medical billing and coding jobs. Positions with higher levels of responsibility, however, may require an associate’s degree or a bachelor’s degree. Additionally, many roles require special training or certifications, such as the Certified Professional Coder (CPC) certificate offered by the American Academy of Professional Coders. People in medical billing and coding positions generally work in hospitals, clinics, doctors’ offices, and other medical facilities, where they can interact with medical staff, consult with patients on billing issues or records requests, and have easy access to files and accounting data. Other medical billing and coding jobs may involve working with medical administrative outsourcing firms, which provide billing, coding, and record-keeping services to doctors’ offices and clinics.